Hi Celeste! 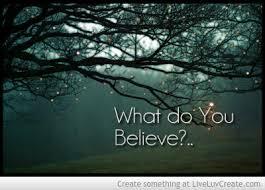 I loved your post very much, talking about beliefs. the bridge of belief widened now a bit more, thanks! It wasn’t easy to me to read chapter 11, and you brought something that made a point for you, It was nice to read, because in your context i could understand it more! Thanks! Fantastic Post, Celeste!! Great observation about the law of attraction, what we believe is what we attract!! Thanks for your comment. We can’t reinforce this message enough to others and to ourselves. Glad you’re on this journey with me. Thanks for your comment. It certainly speaks to me as I continually dig in to clearly determine the beliefs that are guiding my life…those not so easy to see. Keep believing!! I enjoyed your post. You raise true and thought provoking concepts/beliefs. Thank you! Very glad you enjoyed it. I trust it will indeed inspire thought that matter. Visit again soon…and I’ll do likewise. Meanwhile, Merry Christmas!